Cnadace the no good tattle tail. ooohhh i hate her! 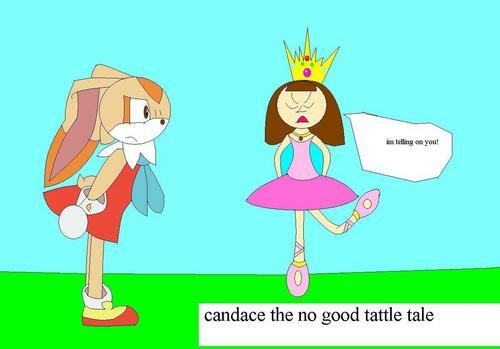 she tattle tails just because she likes to see people get in trouble! and she picked every single ফুল out of MY garden! and now i can`t make any ফুল crownds~shes also my পরবর্তি door neighbor: I CAN`T WAIT TO BACK TO MOBIUS!. HD Wallpaper and background images in the Cream the Rabbit club tagged: cream.